Looking to buy the best Vans Slip-Ons? We are going to show you the best deals and the best and most recent versions of the forever classic model. As a brand, Vans is arguably the best representation of this aesthetic, mirroring the surfer/ skater ideals in their footwear. That vast collection includes some of the most memorable drops to date. Models like the Vans Old Skool or the Vans Sk8-Hi are just two of the brand’s classics. However, the Vans Slip-On has a place of its own. The shoe stands as one of the most popular sneakers on the planet, and for good reason. Get a good look and buy the Top 10 best Vans Slip-Ons available now. This is pretty much an essential iteration of the Slip-On. The roots of this shoe are in that of a boat shoe, making this something a low-key celebratory pair. One of the more interesting things about this colorway is the use of color blocking on the three segments of the shoe. Sure, Vans models do usually feature some playful execution, but the contrasting colors here are noteworthy. Every panel’s individual color stands out from the other two, seemingly by design. This goes back to one of the many reasons why the Slip-On is still so popular, consistent design. The Vans crew have a habit brewing here. This Metallica collab is the third between the two partners and it spans a capsule collection that includes a t-shirt and trucker hat. For our purposes, it also makes for a gorgeous colorway. The new Metallica logo sits on each shoe’s vamp, seemingly jumping out at you. The decision to color this Vans Slip-On Black is a great one, considering the subject matter. The heavy metal band is known for their darker aesthetic, part of their Hall-of-Fame-worthy run in the music business. I don’t know how much explanation you need for these. If you need something other than the words “Vans x Nickelodeon,” we clearly have different childhood stories. The Vans crew continue to know their fanbase and combine extravagant colors with a cartoon icon. The result is one of the best Vans Slip-Ons you can find anywhere. This is another gem of a collaboration for the brand, sporting its own collection of other similarly styled models. You could always use more Spongebob in your life, so do it in style! Consider this iteration a shoutout to all of you creatives out there. Vans releases this version of the Slip-On as a celebration of the “makers,” or those of us who express creativity through crafting. A large portion of the brand’s fanbase falls into this category. Surfboard shapers, tattoo artists, barbers, Vans wanted to make sure they took care of everyone with this drop. For its part, the Slip-On in this release features a focus on comfort and durability. The upper’s canvas build is joined by an UltraCush inner lining for all-day comfort. The outsole gets some alteration as well, boasting a thicker “lugged” rubber. The additional elements make for even more comfort and durability while you’re on the job. The All-Black colorway is also a great touch. For those of us who spend a lot of time working with paints and the like, it’s one of the best Vans Slip-Ons out there. The magic of Charles M. Schulz’s characters is brought to life on this piece of the Vans x Peanuts collection. Yet another blast from childhood past, this partnership involves a re-imagination of the Vans aesthetic by incorporating colorful elements of children’s cartoons. The pair work really well together, as we see even more from the Vans x Peanuts collection with time. The latest from the drops include a Christmas capsule from last year. This iteration features an all-over print execution featuring all of the characters from the iconic cartoon. Also sporting a Black base, it makes for quite the striking visual. There are no functional changes in this model. But, that’s not really the point of this special colorway. Perhaps the most classic feature of the Vans look is the checkerboard design. Here, we get a look at a clever play on that, featuring an interesting swapping of base materials. This Slip-On model boasts one of the louder colorways in this build. The color itself is fairly muted, featuring here in a Lavender look. But, it’s that difference in materials that helps this shoe really stand out. The translucent rubber, normally an aspect for special outsoles, coats the midsole here as well. The upper also seems to be sporting an extra synthetic layer that adds a noticeable gloss. As is usually the case with women’s colorways, this iteration is gorgeous. The lining is in a bright Red hue to compliment the rest of the look, giving off some bold and romantic vibes. This is one of the more recent looks for the legendary Slip-On. Another fire colorway for the ladies. This edition of the Slip-On features one more interpretation of the Black base upper. The main draw here is, of course, the graphic on the vamp. Vans seem to always make great use of that space on their sneakers, particularly on this model. The shoe isn’t just made of canvas, it practically is a canvas. This is a running theme for the brand, constantly encouraging their fans and consumers to go crazy and make each shoe their own. This version also sports some usual functional features that help sell it. The ankle collar sports some comfortable padding, coming together nicely with the lining. Beyond the Rose graphic, this can come across as a painfully dry colorway but consider an option. This edition comes with plenty of space for you to absolutely go to town on. Pop out those markers and get creative! In case you’re wondering if the ladies are going to be the only ones with the Rose theme shoes, you’re in luck. This special iteration comes with even more of the floral vibes via some extra rose graphics. This time, it takes on the form of an embroidery, adding some nuance to this sneaker’s look. Additionally, the base material for this iteration strays a bit from what we usually see on the Slip-On. A rich leather takes on those duties, helping certain smaller details stand out. Specifically, the stitching details seem more prominent thanks to the more premium upper. The White color on this edition also serves as an appropriate contrast to the Rose detail. All in all, this is a crisp standout look for the usually lowkey sneaker. There was no way to actually do this sort of list without including the OG of Vans. No list of the best Vans Slip-Ons is remotely complete without including the Checkerboard look. Unlike the other we mentioned, there aren’t any special details or graphics here. Instead, this look simply reminds us of the brand’s rise to global icon status. It’s also the shoe some of us may remember seeing the film Fast Times at Ridgemont High. 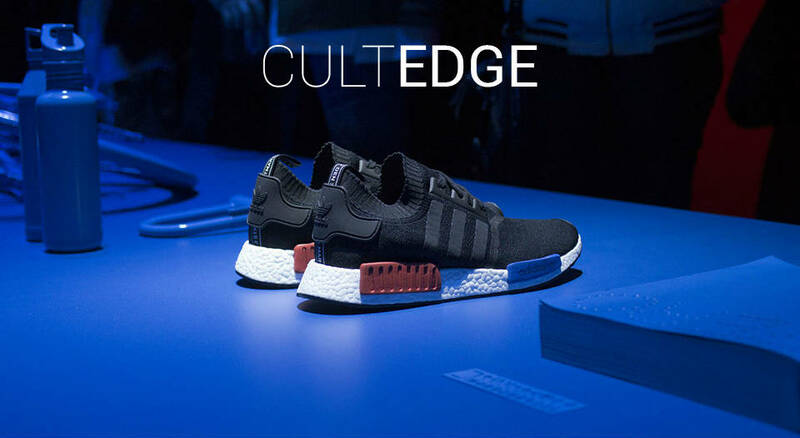 Sean Penn wears this exact colorway on the popular movie, bringing a surprise marketing effect to both the shoe and the brand. This colorway also connects us to the early days of the Slip-On, back when it first releases as “Style #98.” This is a point in time when the company doesn’t quite see the huge potential of the shoe. Somehow, intending to just sell another sneaker, the brand stumbles upon a legendary gem. Frankly, this makes our best Vans Slip-Ons list on the back of its nickname alone. The “Apple Butter” iteration is more of the classic checkerboard aesthetic we know and love the brand. The color variation makes sure you have a distinctly different option to go to. It’s also a great look to pair up with some bright denim you have laying around. This is another one of the Slip-On releases that feature absolutely no animal-based products in its build. From the base materials down to the adhesives, this is effectively a vegan piece of footwear. Judging by this list, one thing is abundantly clear to you by now: you simply cannot go wrong. The sheer number of options that you get from the Vans line-up makes this sort of list very difficult to put together. The label has been around for enough decades that the variety is plain to see. In fact, it really seems like Vans are just not done with their Slip-On experimentation. In the last few months alone, we see news about upcoming work that Vans are doing with several different names in fashion and beyond. Frankly, we can expect to see much more variety from Vans on all of their silhouettes. From weather-ready variety to more high fashion collabs, the sky’s the limit for Vans this year. While we wait for what they’ve got cooking, check out more the brand’s Men’s and Womens’ offerings available to buy now. For those of us who aren’t quite familiar with the shoe, some history is in order. As a legendary name among the early titans of action sports, the story of Vans kicks off as you might expect. Consider the fact this is a shoe that, for many people, associated with action sports. If your sport involves ramps and getting air, you know what Vans stand for. Yet, this contrasts with the company’s founding aims. When founder Paul Van Doren and his brothers originally open up shop, that was more or less the aim. Skaters find themselves in need of a certain type of shoe in the 60s and 70s. Doren and co. give them something remarkable and memorable. The company becomes extremely popular, particularly within the BMX scene in the 1970s. But, prior to this, skaters take a certain liking to the brand’s offerings as well. The original appeal comes from the innovative outsole on many of their products. The waffle pattern is thick and robust without taking away from board feel. It’s interesting to note that this current lifestyle brand starts its life as a functional marvel. Another notable aspect is how the company actually puts these shoes together. Let’s take the Slip-On model as an example. Each shoe comes in 18 essential pieces, which sounds tricky. But, it pales in comparison to the modern sneaker build. The upper on the slip-on breaks down into the heel counter, the vamp, and the quarter panel. Most of us wear sneakers that come in double that amount of sections. This relatively simple build makes meeting high demand that much easier (even if simple there are really totally premium versions such as the Vans Slip-On Corduroy seen here). It’s also key for the shoe spreading its figurative wings all across the United States. The transition into the lifestyle market is actually very logical for Vans. Not only is it the smart call for any sneaker manufacturer, it’s also what the brand starts out as. Though it has roots in action sports, as we mentioned above, the Slip-On actually introduces itself initially as a simple boat shoe. Taking that upper design and mixing it with the waffle midsole makes this purpose feasible. California culture is about as unique as an aesthetic gets. It is an iconic style and aesthetic that we recognize at first sight. For most of us, it really doesn’t take long to spot an iconic Cali-friendly look. It represents a lifestyle that centers on breeziness, lack of outside stress, and, of course, warm California temperatures. Vans is all about that unique feeling.